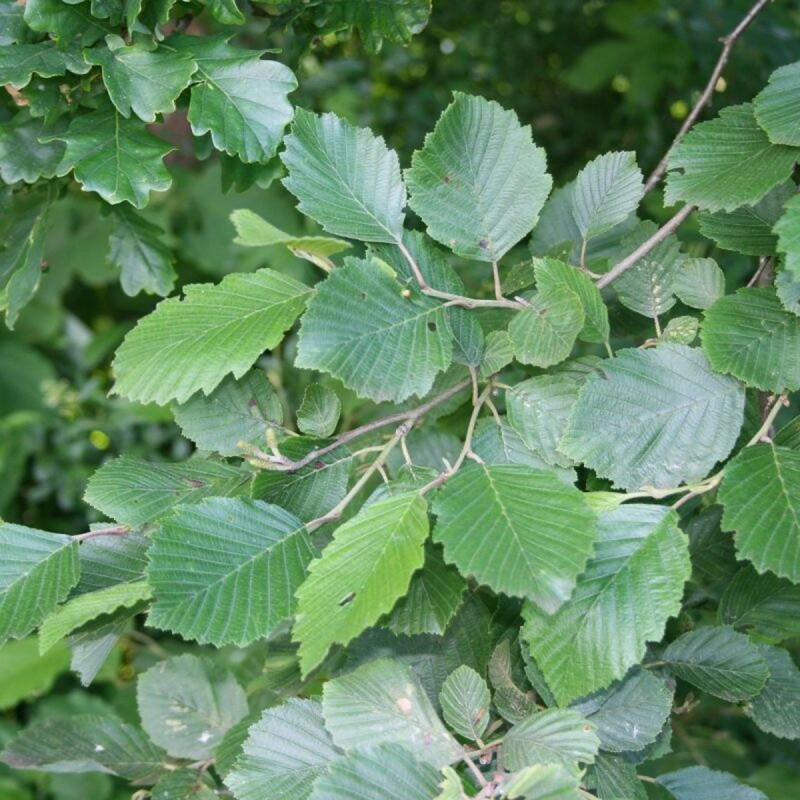 Alnus incana is a small to medium sized conical tree with green leaves and a grey-white and hairy underneath. It has a smooth grey bark even in old age. 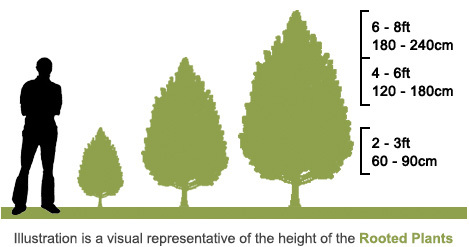 Grey Alder is a fast growing deciduous tree, it can live up to 100 years. Part of the Betulaceae family and like other alders it has the ability to fix nitrogen. They increase soil fertility by means of the bacteria Frankia alni. They thrive in wet/poorer soils but do require lots of light. Suitable for most locations and soil types except for chalk or very acidic peat. It can handle dry infertile soils, and is particularly good for reclaiming old industrial sites. However, it grows best in wet sites which are prone to waterlogging. Alders thrive in full sun - young plants may be started off in part shade if they can grow up to full sunlight. 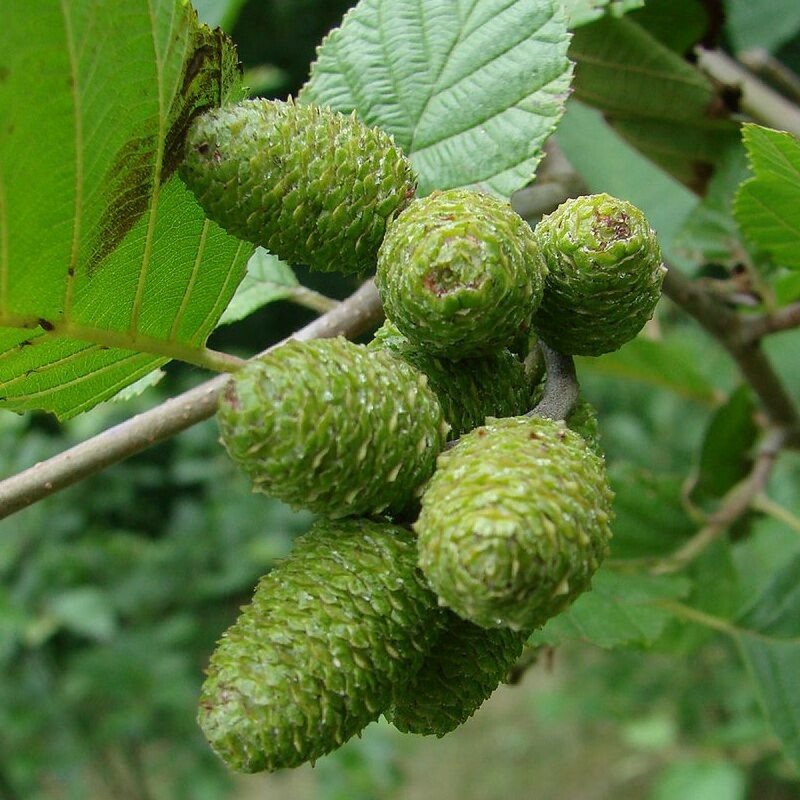 Leaves are matt green, ovoid and the flowers are catkins appearing in early spring before the leaves, these develop into hard green fruits in the summer and like the Italian, they then turn into woody cone like objects, these can remain on the tree until the following year. 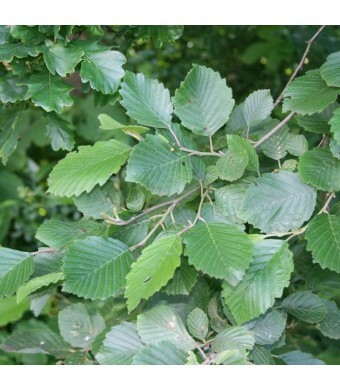 Grey Alder is attractive to wildlife, with the catkins providing early pollen for insects. The overwintering cones provides a source of food for birds. Grey Alder makes an attractive specimen tree. Although it can be used for screening and hedges, Common or Italian Alders are often better for this purpose. With its ability to grow in poorer soils it makes it an excellent choice for reclamation projects. Commonly grown as a windbreak and for reclamation of derelict land.